Akash, a 12-year-old boy living in a small village in the Indian desert, is not like the other kids. First of all, he loves school and would rather spend his days in a classroom absorbing knowledge than playing cricket or other games with his peers. Second, he has a real knack for math and has reached a level beyond that of his teacher. Finally, Akash is so determined to find a good math tutor that he leaves his village and family for Delhi in hopes of a better education. This tutor will hopefully help him prepare for an upcoming exam which could lead to a scholarship for a good school. 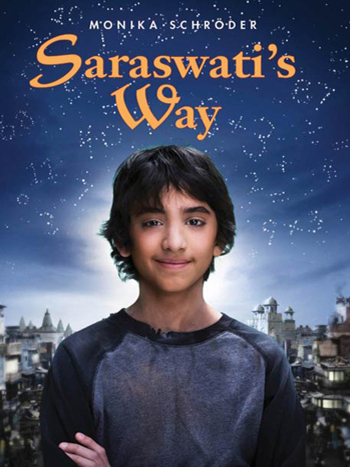 “Saraswati’s Way” is the story of a young boy who just cannot catch a break but doesn’t let it get in the way of his dreams. Whether it’s dealing with his father’s death or figuring out how to survive in the city, Akash remains strong, never losing sight of his goal or his faith. He will often pray to Saraswati, the Hindu goddess of wisdom and knowledge, and Ganesha, the Hindu god of good luck and remover of obstacles, for their help. Although he is still young, Akash is someone individuals of all ages could look up to. As desperate times call for desperate measures, Akash resorts to less-than-honest means of earning money to pay for a tutor, but he feels guilty the entire time, knowing that what he’s doing is wrong. “Saraswati’s Way” also stresses the importance of family. While Akash leaves home for seemingly selfish reasons, his family is never absent from his thoughts. He makes a promise to himself to send gifts home when he finally earns enough money. Akash is also not alone as he meets a number of boys in Delhi who are in similar positions. Although the situations in “Saraswati’s Way” are extreme, this is an important lesson for young people to learn and know that they are never too young to contribute to and help their families. The year is 1966 and the Cultural Revolution in China has just begun. In the middle of it all is Ji-li Jiang, a smart and talented 12-year-old living in Shanghai with a bright future ahead of her. But all of that disappears as the Revolution picks up in full force and it becomes clear that her family’s reasonably good fortune and background is a black mark against them. Soon, Ji-li finds herself humiliated on a regular basis by classmates she used to help tutor. Her neighbors are searched based on the slightest hint of counter-revolutionary acts. Ji-li and her family live in constant fear that they may be next. 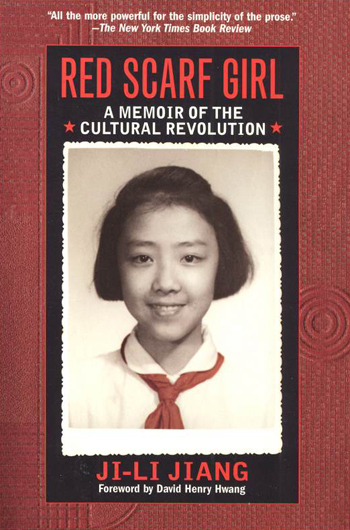 “Red Scarf Girl” is the true story of Ji-li Jiang’s life during the first few years of the Cultural Revolution. Initially, she believes things are happening for the good of the country, but she quickly begins to question people’s actions and motives. Readers are treated to a firsthand account of this terrifying era during which neighbors and friends – even families – turned on each other in the name of survival. No one knew who to trust. For anyone who grew up in the West, the idea of being punished for saying anything against your government and children breaking ties with their families in order to improve their class status may be difficult to grasp. But Jiang paints a very clear picture of her experiences and readers will fear for her and her family as they endure some very intense moments. The situations Ji-li finds herself in – including watching people search and ransack her family’s home in the name of the Revolution and visiting her father in prison – are terrifying. But she stays strong as she comes to learn what she really values. In 1975, 13-year-old Sundara Sovann is sent to live with her aunt’s family in the Cambodian region of Ream after her father deems Phnom Penh too dangerous for her as the Khmer Rouge takes over the capital city. She and her aunt’s family are quickly forced to flee as well and they end up in Oregon. Four years later, at 17, Sundara is having a difficult time fitting in at her American high school while remaining “a good Cambodian girl” at home. This becomes more difficult as she meets Jonathan, an American boy from school who is as attracted to her as she is to him. To top this all off, Sundara still grieves for her parents, siblings, and her childhood love — as well as her aunt’s newborn baby who died on the boat trip to the United States — all of whom she had left behind and has never heard from since. 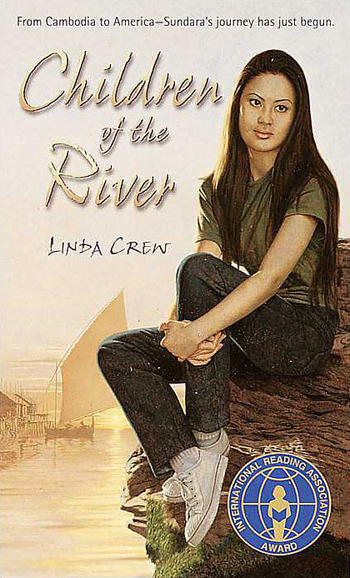 “Children of the River” tells the story of a young woman who overcomes major obstacles to get to where she is and continues to struggle as she longs for a new beginning and happiness, but can’t let go of her past in fear of letting go of those she loves. Sundara is a strong and admirable character, but she also has a sensitivity and vulnerability about her that she tries to hide. However, she’s not invincible and, in a flashback, we see just how strong she really is.